Haunted by uneven, discolored, misaligned or chipped teeth? If you automatically cover your mouth every time you smile or are embarrassed by the gaps between your teeth, dental veneers in Cancun – Mexico might be a practical solution for your “mouth” esteem! However, the high cost of such dental procedures can make it prohibitive in some countries, leading patients to embark on medical trips abroad. According to a 2007 survey commissioned by the American Academy of Cosmetic Dentistry (AACD), an estimated 599,000 veneering procedures were performed annually in the USA, which generated total revenue of $371.9 million. With dental care out of reach of many in the US, the low dental veneers cost in Cancun, Mexico is very attractive. According to the American Dental Association, veneers are thin, custom-made shells made of tooth-colored materials designed to cover the front of teeth. Also called porcelain veneers or dental porcelain laminates, they are attached to the front of the teeth to improve their color, shape, length or size. The process begins with a consultation, wherein the dentist checks the condition of your teeth and discusses your options. This is followed by the actual procedure during which the dentist removes about half millimeter of enamel from the tooth surface, which is nearly equal to the thickness of the veneer to be added. Usually under local anesthesia, your dentist makes a model of your tooth which will be used in a dental laboratory to make your veneers. This usually takes between one and two weeks. The second stage is called bonding, where your dentist will fit your veneers onto your teeth. Then your tooth will be cleaned, polished, and roughened to allow a strong bonding process. This is followed by the dentist applying special color-matched cement to your veneer, which is then attached to your tooth. The process ends with your dentist cleaning out any excess cement, while making any required final adjustments. The process of dental veneering is usually irreversible. Veneers need no special care though your dentist might advise against foods and drinks that might stain or discolor your teeth. So given the advantages, head for sunny Cancun to get veneers for your teeth! How Much Do Veneers Cost in Cancun? Mexico is known for its beaches, margaritas and value for money dental tourism. Since veneers come under the umbrella of cosmetic dentistry, US dental insurance is not likely to cover the procedure, making it prohibitively expensive. However, the answer to the question: “How much are porcelain veneers in Cancun?” is likely to shock most people since the dental prosthetics cost unbelievably low. In fact, you could travel to Cancun, get your procedure done, pay for your vacation, and you would still be left over with mucho dinero to shop and party! Why Choose to Get Dental Veneers in Cancun? 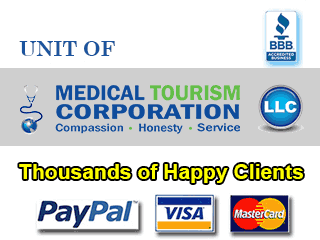 Like most good hospitals in Mexico, Cancun’s leading dental clinics are world class operations. With sophisticated technology, high levels of accountability and stringent standards for hygiene, you are likely to be more than satisfied with your porcelain laminate veneers in Cancun – Mexico. Dentists and dental surgeons of Mexico are well-trained and widely experienced. So getting lumineers in Cancun, Mexico will be relatively stress-free and you are likely to be pleased with the results. With many of the dentists trained in the U.S., you will find that your dentist will have no problem communicating with you in English. The support staffs at the clinic where you get your dental veneers in Cancun would be trained to be supportive and warm. Dental procedures like porcelain tooth veneers in Cancun, Mexico are easy to schedule. In fact, complicated procedures such as gastric bypass in Mexico can be planned without scheduling headaches. The proximity of Mexico makes it an attractive and cheap travel destination. So not only will you get low cost teeth veneers in Cancun, Mexico, you will save further on travel expenses. Cancun is a top destination in Mexico. Especially popular with spring break vacationers, the place has a youthful and active vibe. Americans and Canadians do not need visas to enter Mexico. But they will need their passports when they travel to get low cost dental veneers in Cancun, Mexico. Potential dental tourists from other countries need to check with their local Mexican consulates for immigration information. Your stay for availing teeth veneers in Cancun, Mexico will largely be safe. But be alert and stay in busy parts of the city. Leave your valuables at home. You can dial 911 in Mexico in case of an emergency. If you plan to rent a car during your trip to get dental veneers in Cancun – Mexico, you must have a valid driver’s license. Additionally, the driver has to be at least 25 years old. Stay away from any kind of illegal activities, especially connected to the buying and selling of drugs. Low-cost dental procedures by renowned dental professionals in high-value dental clinics make Cancun, Mexico one of the top destinations for dental tourism. Add to this, the turquoise blue waters lapping against the powdery white sands, the pulsating night life, and Mayan artifacts and you have an all-inclusive package of reasons to get dental veneers in Cancun – Mexico! Submit the free quote request form on the right for more information on Dental Veneers in Cancun – Mexico.